The flu pandemic of 1918 produced the deadliest infection in modern history, infecting an estimated 500 million people throughout the world. The pandemic infected almost one-third of the world’s population at the time, killing between 20 and 50 million people. With lack of flu prevention, more than 25 percent of the U.S. population became sick, and over half a million Americans died during the pandemic. Many people are surprised to know that young, healthy adults made up a large number of the millions of casualties. No effective drugs or vaccines existed at the time of the pandemic. People possessed no real treatment or flu prevention. American citizens were ordered to wear masks while schools and other places of mass gathering were shut down. Research that followed the pandemic determined that the deadly component of the 1918 disease occurred when the virus invaded the lungs and caused pneumonia. An interesting sub-population gained significant attention during and after the 1918 flu pandemic. Chiropractic research led to pockets of communities where doctors and osteopaths of the time administered spinal adjustments that focused on the health and well-being of the nervous system. Medical statistics in Davenport, Iowa, detailed 4,953 cases of flu were treated by 50 medical doctors. 274 of those patients perished from the virus. Approximately 150 Chiropractors and Chiropractic students cared for 1,635 patients with the flu; only one death occurred. 9.2 percent of flu cases that sought medical attention died during this terrible season. Only one-fourth of one percent (.0025 percent) of patients receiving Chiropractic adjustments died during the pandemic. Chiropractic patients experience approximately 1/40th of the death rate experienced by those patients seeking medical intervention. The flu pandemic of 1918 put Chiropractic in the national spotlight as an alternative form of health care that focused on the intelligent power within the body. Many experts warn of a global influenza pandemic that may trigger from massive interaction and intermingling of world populations through mass transit and commuter populations. The Center for Disease Control advocates that vaccines provide the best method of flu prevention. 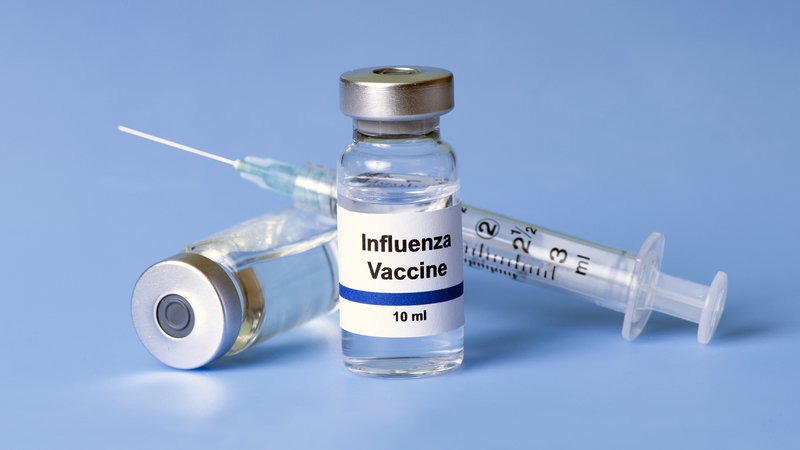 Evidence remains unclear on the safety and efficacy of vaccines in flu prevention. The greatest health advocate at the disposal of each person exists in the form of internal intelligence found within the body. The brain and central nervous system contain an amazing wealth of intelligence built for health and well-being. Chiropractors passionately pursue the education of every community when it comes to the best options available for family health. Flu prevention and healing from the flu represent only a few ways in which an optimally functioning nervous system maintains an environment capable of conquering and overpowering disease without the use of ineffective drugs and medicines. The human body manufactures billions of new cells every single day and constantly fights off foreign invaders and diseases. The body turns nutrients into living cells and tissues able to combat negativity in the environment. The spine’s intimate relationship with the brain and central nervous system hold the key to better health and disease prevention. A properly aligned spine moves fluidly and allows the body to communicate between organs and the immune system. A 2010 study determined how one single Chiropractic adjustment increased specific immune-fighting antibodies, supporting flu prevention. The spinal adjustment triggered production of Interleukin-2, a protein that regulates the activities of immune-fighting white blood cells. The same type of spinal adjustments helped Americans experience only 1/40th of the death rate of medical intervention during the flu pandemic of 1918. Chiropractic clinics across the globe administer a boost to vitality and millions of immune systems every day through simple spinal maintenance that unlocks the potential within the body. The flu still exists today but no vaccine replicates the power already present within the human body. Proactive flu prevention begins with a trip to the Chiropractor.